The World Footwear Yearbook is a comprehensive report that analyses the main trends within the footwear sector around the world. The aim of this publication is to analyze the position of the relevant countries of the footwear industry in terms of different variables (Production, Exports, Imports and Consumption) and evaluate the strategic positioning of the different sector players. 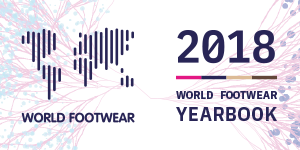 The World Footwear Yearbook will collect footwear data about production, trade and market and then redistribute it in an intelligible way and on a purposeful timing to the sectorial players around the world. The World Footwear Website will disseminate all relevant news about the worldwide footwear industry. The first edition of the World Footwear Yearbook was released in September 2011, and new updated editions have been being published on a yearly basis since then. Each report is published with the most updated data up to the previous year. The main sources of the data used are official statistics. As official statistics do not cover all the items we considerer relevant to picture each market, we gather additional information by contacting the main footwear organizations in each country, and the any relevant local entities. 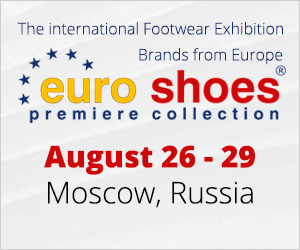 The online website is updated on a daily basis with all the relevant news relating to the worldwide footwear industry.